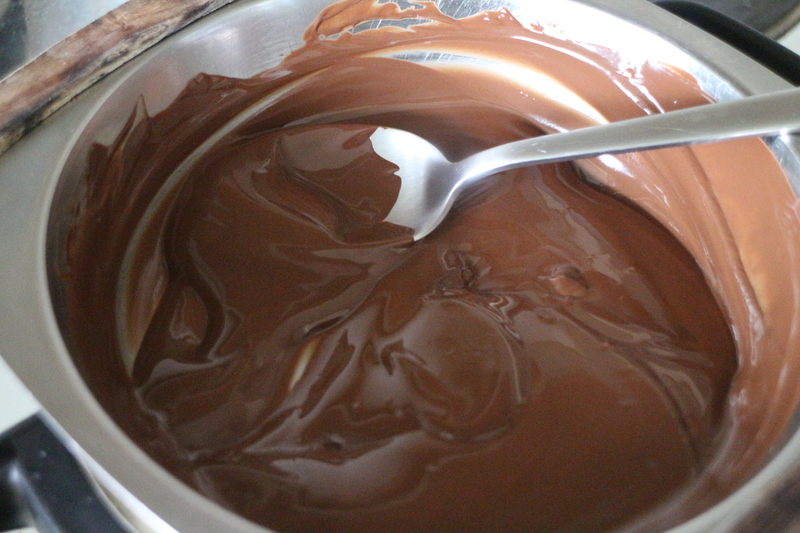 Are you a chocolateholic like me ? For couple of years now I’ve been buying my hazelnut spread in the organic section at my grocery store. They are most of the time vegan. But after I bought the Chloe’s vegan Italian kitchen cookbook. I really wanted to try her vegan “Nutella” recipe. But when I was browsing the book for the recipe. I saw that it’s not a hazelnut spread. She uses only almonds. 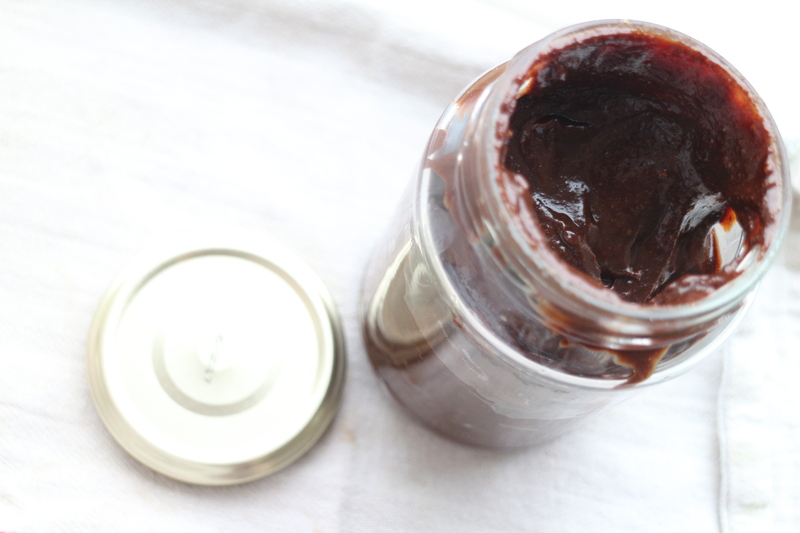 But I like the hazelnut spread so much I just made my own . I used here recipe to guide me to my own. 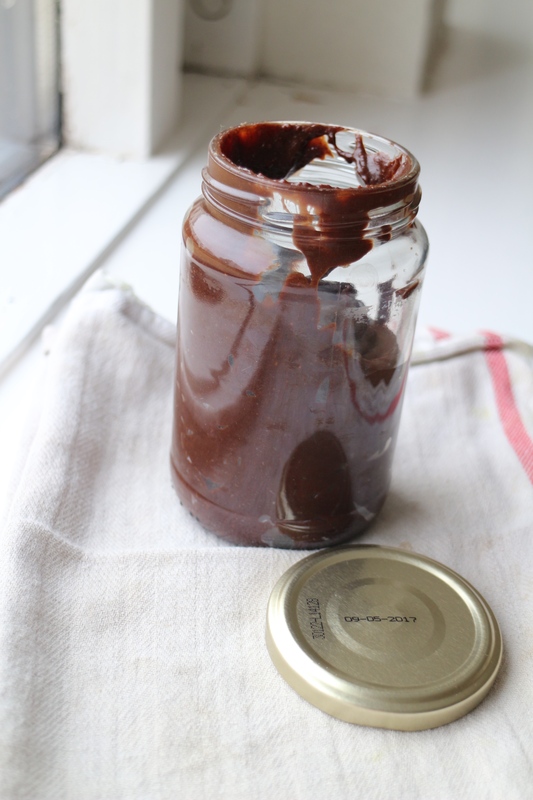 Here is my hazelnut chocolate spread recipe. 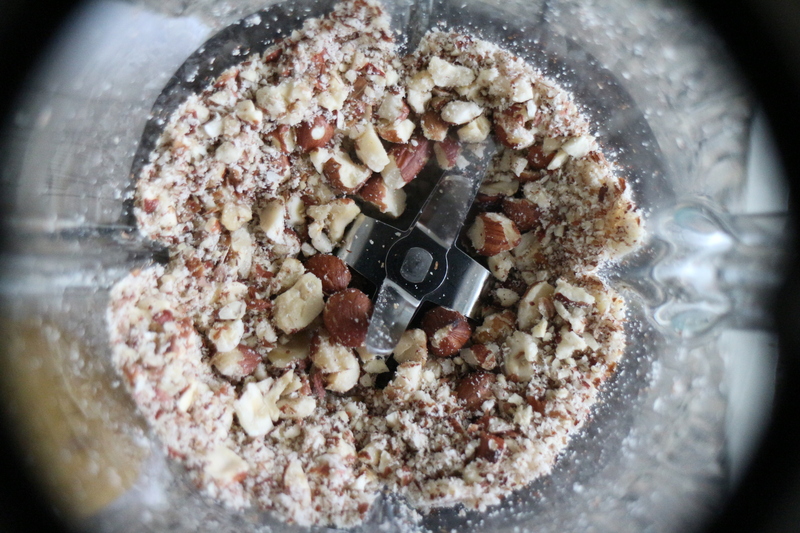 Mix hazelnuts till they are like powder in a food processor or blender. 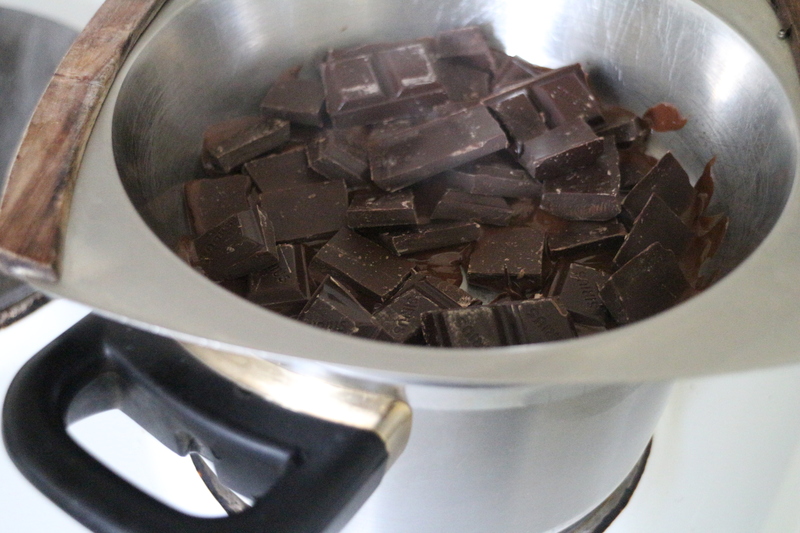 Add the chocolate to the food processor and the vanilla powder, then add non dairy milk little by little till you find your desired consistency. Be aware that it will cool down a thicken a bit more. This is a perfect spread to use with waffles or pancakes or even crepes. I hope you try this chocolate spread. Its a bit different than Nutella, but my daughter and I we love it.